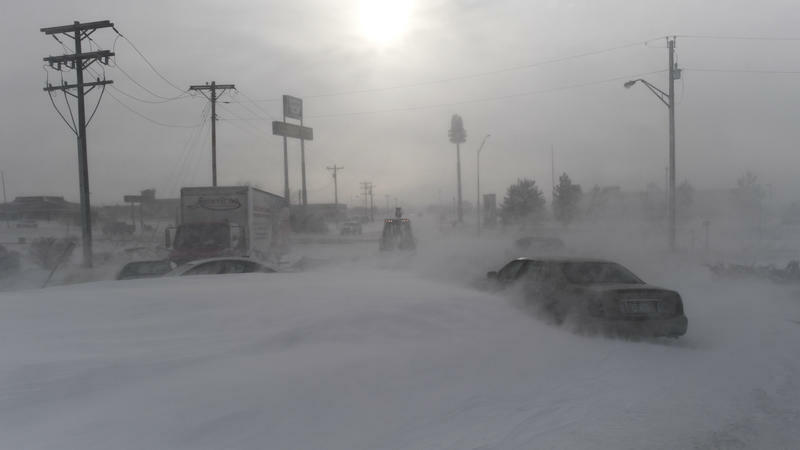 Much of eastern Colorado is bracing for another round of wintry weather, which includes a blizzard warning for northeastern Colorado, north of the Palmer Divide, and a Winter Storm Warning for Teller County. The National Weather Service has also issued a High Wind Warning for much of southern Colorado, including southern El Paso County, Otero County, and Pueblo County. That is set to expire Thursday at noon. A Red Flag Warning for much the same area is set to expire Wednesday at 5:00 p.m. The Colorado Department of Transportation is recommending commuters head home as early as possible Wednesday due to the strength of the imminent storm. The agency says there is a potential for major road closures, including to I-25 at Monument Hill. CDOT also recommends motorists stay home, but if travel is required, to be prepared with an emergency kit, including water, food and blankets, and to check road conditions via COtrip.org prior to traveling. Schools and government agencies, including El Paso County offices, are closing early. A list of closures and delays is available online. El Paso County government offices are closing at 2:00 p.m., as are the city offices of Colorado Springs. As of 3:30 p.m., officials at the Colorado Springs Airport say 14 of 52 scheduled flights for the evening have been canceled, and travelers should check with their airlines as to the status of remaining flights, both Wednesday and Thursday. In southern Colorado, the National Weather Service has also issued a Winter Weather Advisory for Huerfano and Las Animas Counties in from 6:00 p.m. to 3:00 a.m. Thursday morning. As of noon Wednesday, the agency expected 2-5 inches of snow in the area.